Memphis International Raceway hosted the Summit SuperSeries champions from each of the six IHRA divisions. These regional champions competed for true world champion status among bracket racers on October 9-11, 2015. Jeff Parrish, the 2015 Summit SuperSeries Top Champion stood in the winner’s circle with both his winning 1968 Nova and his new turn-key 2015 American Race Cars dragster. The dragster prize features custom paint from Imagine That Custom Paint, a Trick Flow Specialties 572 cubic inch big block is constructed with a wealth of hardware by manufacturers listed on the Summit SuperSeries dragster build page. Parrish’s prize package also included a $10,000 pay day from Summit Racing Equipment, an Aruba vacation for two by Around Aruba Tours, his World Champion Ironman and a diamond IHRA World Championship ring. The second turn-key dragster awarded that day was the JR Race Car Junior Dragster that was also painted by Imagine That Custom Paint in the matching Summit SuperSeries paint design scheme for 2015. Kenneth Hillin is taking the new dragster home to San Antonio, Texas as the 2015 IHRA Junior Dragster World Champion. 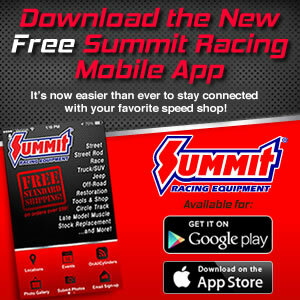 See more info about the JR Race Car Summit SuperSeries dragster on the JR Race Car dragster page. Cory Heckenlaible, from Utica, South Dakota happy held his 2015 World Championship Ironman in the winer's cirle for his Mod championship performance. Cory will be towing his Mustang in style soon with a new Performax Trailers 26 foot enclosed trailer as well as a prize package including a $10,000 winner’s check from Summit Racing Equipment, a $2,500 gift certificate from Trick Flow Specialties, a new Gemini 2 post auto lift, a Hughes Performance racing transmission, an Aruba vacation for two by Around Aruba Tours plus a diamond IHRA World Championship ring. Cody Bayus, 2014 Summit SuperSeries Top ET Champion uses his Around Aruba Tour prize to celebrate honeymoon.